Red Dead Redemption sees players thrust into a crazy world where there are zombies everywhere looking to eat the flesh off your bones. This game is simply phenomenal and is one of my favourite of all time but my only reservation is that I could complete it quite easily but apart from that it is brilliant. 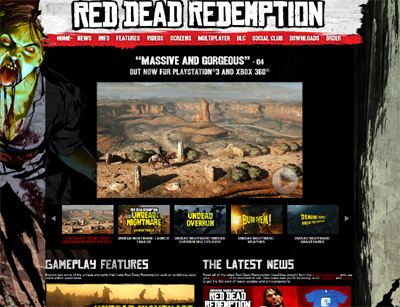 We have also compiled a Review System for this, of which Red Dead Redemption is Rated as Four Stars, the second highest possible score available from the Game Review Team.